Opportunity! The Red Room Company seeks your work. THE RED ROOM COMPANY is seeking poems about places all around Australia for a nation-wide edition of our innovative new app, The Disappearing. We're looking for new poems that explore everything that vanishes: buildings, ideas, people and places. To participate, send us a new poem about something in the process of disappearing, and tell us about the place that inspired it. We pay $80 for every poem published. 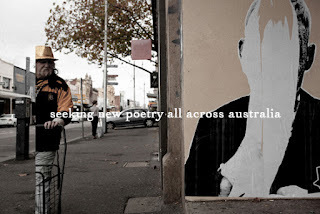 Because Sydney is already extensively mapped, we'll be preferencing poems about places elsewhere in Australia. And, if you've already submitted to the Sydney round, we want to hear from you again! Entries close on Sunday, October 28, 2012.